As part of its electoral strategy during the campaigning for the Malaysian 14th General Elections last year, the Pakatan Harapan (PH) coalition devoted attention to the Sabahan and Sarawakian electorate. Hence, a core priority of their electoral manifesto included restoring the terms of the Malaysia Agreement 1963 (MA63). MA63 recognized Sabah and Sarawak’s status as equal partners to then-Malaya and Singapore, which formed the constituent units of Malaysia. However, in 1976, an amendment was passed in Parliament that shifted the status of Sabah and Sarawak to under the Malaysian federation, together with the states in Peninsular Malaysia. This change in status, coupled with other issues like the exploitation of natural resources and the lack of support from the federal government, has contributed to grievances felt by certain quarters in Sabah and Sarawak. Almost a year after its surprise electoral victory, the PH government is finding it difficult to implement its reform promises, and its pledged restoration of MA63 remains to be fulfilled. However, it has taken the first step with the formation of an MA63 steering committee on the rights and autonomy of Sabah and Sarawak. Below are some of the key challenges facing the state of Sabah. One of the significant areas of contention between the federal government and Sabah is over the use of natural resources, including oil royalties. Sabah and Sarawak contribute roughly 60 percent of Malaysia’s total petroleum output. However, each state government received a mere 5 percent of the oil royalties. PH had pledged to increase these oil royalties to 20 percent for both states and return 50 percent of all tax revenue. This has yet to materialize, which is not surprising given the huge amounts involved and the current fiscal predicament faced by the federal government. Beyond oil, there have been longstanding concerns that the natural resources of the two states are being exploited. Most recently, Prime Minister Mahathir bin Mohamad spoke about exploiting coal reserves in Malaysia, including in Sabah and Sarawak, to generate power in Peninsular Malaysia. Sabah Chief Minister Shafie Apdal welcomed the proposal. This has been received negatively by the state opposition, which suggested that there were ulterior motives behind this proposal. There were also warnings about the environmental ramifications of using coal to produce electricity. Some quarters argued that this was not a good idea given the lack of infrastructure, including water and electrical supply, in rural areas. Reflecting this suspicion, eyebrows were raised when Mahathir’s political party, Parti Pribumi Bersatu Malaysia (PPBM), expanded into Sabah in February 2019. This is a political U-turn as Mahathir had promised pre-election that he would not grow his party on Sabahan soil. While Mahathir is likely driven by the need to increase PPBM’s share of seats in parliament, this move has increased cynicism in Sabah over Mahathir’s true intentions. When Mahathir was asked if he had consulted leadership of Warisan, Shafie’s party, before this move, his justification was that “there was no necessity to do that.” The situation is compounded by the perceived lack of push-back from Warisan. For some, the expansion of PPBM into Sabah is a confirmation of a covert agenda by the federal government to control the state agenda, including the exploitation of its natural resources. The possibility of another round of Project IC – granting citizenship, and thus identity cards (ICs), to immigrants — is also generating concern in Sabah. From the 1960s to the early 2000s, Sabah’s population grew by 300 percent — an anomaly when compared to other states. And as the net population grew, the demographic composition markedly changed, with a significant increase in the Muslim population within Sabah. As registered in the 1960 census, the percentage of Muslims in Sabah was at 37.9 percent, with non-Muslims being the majority at 62.1 percent; these figures inverted in 2010 when Muslims became the majority at 65.4 percent. Through investigations by the Royal Commission of Inquiry (RCI), it was found that Malaysian ICs, birth certificates, and other documents were issued by syndicates and individuals assisted by allegedly corrupt officials to undocumented illegal immigrants since the 1970s. This facilitated their access to most rights of Malaysian citizenship. Muslim immigrants from Mindanao, in the southern Philippines, are examples of groups that entered Sabah illicitly due to the cultural proximity. The political party that gained the most from this was UMNO, the previous ruling party of Malaysia. As Sabah became a Muslim-majority state the electoral voting patterns became tilted in favor of a Muslim-majority government as the Muslim community had the largest number of seats in Sabah. The mass granting of this citizenship took place during Mahathir’s first tenure as prime minister. In 2015, Mahathir hinted at another round, when he explained that it was the government’s policy to recognize people who were loyal to the country, adding that it was not fair to disallow their children from attending Malaysian schools. To add further confusion to the situation, there were recent debates, which also garnered heavy attention, over whether Javanese and Bugis people, who are also Muslims, should be considered as natives in Sabah. That would entitle them to become voters among having several other special rights. This proposal was put forth by Warisan’s law and native affairs minister, Aidi Moktar — thus this further increased the suspicions and raised questions over the need for such a proposal. 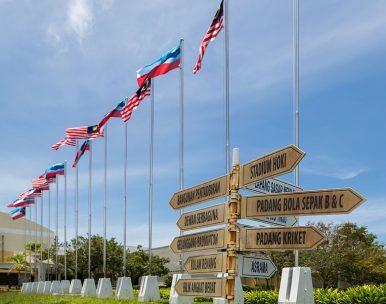 There are more issues than just those stated above — contentions over healthcare, education, and religion also feature on the extensive list, explaining why some Sabahans are frustrated and have called for independence. While the federal government should not dismiss such calls as sheer grandiloquence, it is also important to note that the secessionist sentiment stems from an urbanized fraction of civil society. The reality is that the vast majority of East Malaysians live in rural areas where education is inaccessible, thus there is a severe lack of political maturity, so even conceptualizing referendums and sovereign governance are likely alien to them. Giving further nuance are anecdotes of how patronage politics are deployed in these rural areas, where most of the inhabitants are so poverty-stricken that clean water and proper food are unattainable to them. Politicians have capitalized on this — during the election season, bags of rice and household amenities, with modest sums of money (allegedly ranging between 300-500 Malaysian ringgits), are distributed to these people. Voters in poverty will support candidates or parties that provide them with assistance. Thus, one can argue that the lack of development is strategically beneficial for the incumbent as it reinforces their leverage over rural areas and maintains their strong support base, enabling them to secure their seats with ease. Hypothetically, even if civil society in Sabah attempted to organize for independence, the federal government would not simply accept it, considering that Sabah is a massive resource pool. It will not be surprising if the federal government moves to defuse any such attempts. At the same time, some state politicians may want to use these attempts to put constant pressure on the federal government. However, there remains some optimism. De facto Law Minister Liew Vui Keong, who is a Sabahan, has announced that a bill will be tabled in Parliament regarding the re-establishment of Sabah and Sarawak’s status as well as the special grants disbursed to them by the federal center. A prerequisite for an amendment of the constitution demands the support of a two-thirds majority in Parliament — can the PH government secure this? Will the passing of the mill lead to a positive outcome for Sabah and Sarawak? The devil, as it is said, is always in the details. If the bill is not passed, there will be greater cynicism from those who have advocated for change. How will this play out in Sabah remains to be seen. Piya Sukhani is a Research Analyst at the S. Rajaratnam School of International Studies, Nanyang Technological University. Why Mahathir Is Refusing to Remove Unpopular LeadersCan Malaysia’s New Government Deliver on Reform?What Does the Cameron Highland By-Election Mean for the Orang Asli?Where Is Malaysia’s Mahathir-Anwar Transition?What Does the Cameron Highlands By-Election Mean for Malaysian Politics?